This nail-biting action flick might leave viewers less than satisfied, says SPOT.ph movie reviewer Paul Daza. Inspired by true events, Unstoppable is a nail-biting action thriller about a race to stop an unmanned, runaway train which threatens the lives of thousands of innocent people. Though it's extravagantly produced, competently directed, and topbilled by an appealing cast, Unstoppable may leave some viewers less than completely satisfied when the credits roll. 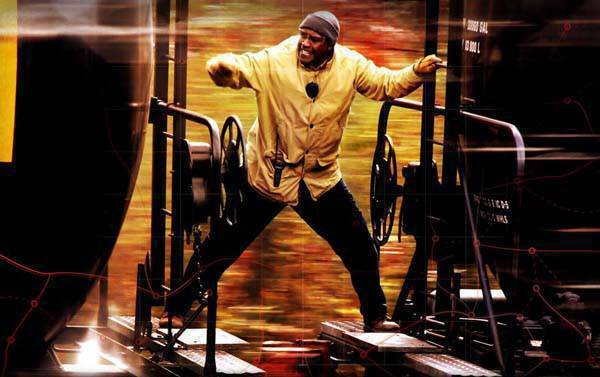 Denzel Washington is Frank, a train engineer who's just days away from forced retirement when he's ordered to orient a new conductor named Will (Chris Pine) on the latter's first day on the job. What starts out as a fairly ordinary day quickly escalates into a nightmarish crisis when another unmanned train that's carrying toxic chemicals many miles away accidentally gets away from its operator and starts barreling towards a densely populated city. And though the suits who own the locomotive have a plan to derail it to minimize the number of human casualties, Frank's instincts, honed from decades of experience, tell him that their idea won't work. He comes up with his own plan to stop the train, one which will require Will's help. Undoubtedly, the scenes depicting the efforts of the police and Frank & Will to stop the train are all thrillingly executed. Thanks to the experience he gained by helming action hits like Top Gun and Crimson Tide, director Tony Scott could probably choreograph a nail-biting sequence involving an out-of-control mechanical beast with his eyes closed. And sure enough, Unstoppable shows that Scott is still at the top of his game in the action arena, creating suspense and brewing tension by throwing dozens of school children, helicopters, and an army of police cars into the chaotic mix, and making the audience feel every beat of danger and mayhem as it unfolds. Making the action set-pieces even more absorbing was Scott's insistence on using real trains as often as possible, without resorting to computer-generated fakery. 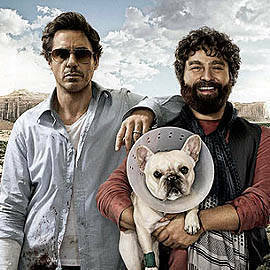 If only Scott had brought this degree of authenticity to the film's characters! What most intrigued me about Unstoppable is the claim that the movie is inspired by true events. I wanted to see how a train could get away from its conductors in the USA, and see how two ordinary men solved the David vs. Goliath conflict that they suddenly found themselves in. After a few minutes, however, I realized that the movie's two male leads were so contrived and conventionally formulaic that they couldn't be based on real people. Rather, they seem to have been inspired by the Danny Glover-Mel Gibson tandem that was established in the Lethal Weapon franchise. In Unstoppable, Denzel Washington's Frank is a soon-to-be-retired black family man who has a great relationship with his daughters, one of whom is celebrating her birthday when the story unravels. He's also a supremely competent engineer, honed by years of experience on the job. By contrast, there's Chris Pine's Will, who is young, white, and bothered by marriage problems on his first day as a train conductor. Talk about a perfectly complementary Yin and Yang pairing in the workplace! And though Pine and Washington make their characters very likeable, their being such polar opposites in nearly every respect feels fake and forced. I'm even willing to bet that the true story that Unstoppable was inspired by didn't involve a pair of men who were as different from each other as night and day. The movie also loses credibility in the sequence where Will attempts to connect the train he and Frank are riding to the runaway train. All this time, the media have been covering the unfolding drama live from helicopters, with video cameras trying to get the lowdown on how the two men will stop the rampaging locomotive. When cameras catch Will leaving his train to try to get closer to the runaway, a reporter comments that Will looks like he has a plan, but she can't guess exactly what it is. Just a couple of minutes later, however, a computer-animated visualization of Will's plan is already being broadcast on the local news, even though such a clip, no matter how crude, would have taken at least an hour to animate and render! What all this means is that the event that inspired Unstoppable was probably not interesting enough, and so had to be embellished to make it work as a movie. 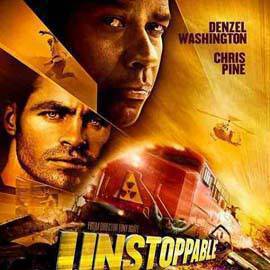 And indeed, a bit of trivia in the Internet Movie Database (IMDB) reveals that Unstoppable was inspired by a real-life incident that happened in Ohio in 2001 that involved a runaway train that was stopped only after it had traveled 66 miles through three counties. No one was injured in the said incident. But guess what...the movie has a body count! If, like me, you're intrigued by Unstoppable because it's "inspired by true events," the movie is a letdown. It's probably as reflective of the true incident as Disney's animated musical Pocahontas was to the story of the historic Pocahontas. But if you're simply looking for a breathtaking thrill ride in the tradition of Speed, you'll likely be enthralled by Unstoppable from start to finish.